The newest swim paddles from Aquasphere. 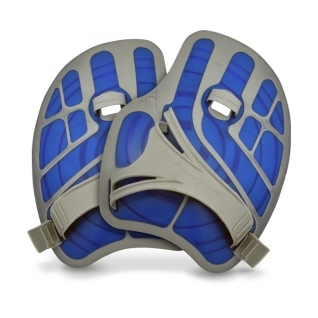 Available in 2 sizes - Small size for swimmer 10-14 years old and Average size for 15+. If you are looking for a paddle that is a little more flexible this one is for you. It helps you understand how to pull more water without cranking on your shoulders. Love them.